This fragrance smells as sweet, rich and syrupy as you remember old fashioned brown sugar to be. Deep and very sweet, this is a must have sugar type for blending. Use alone for the sweetest caramel-like fragrance. 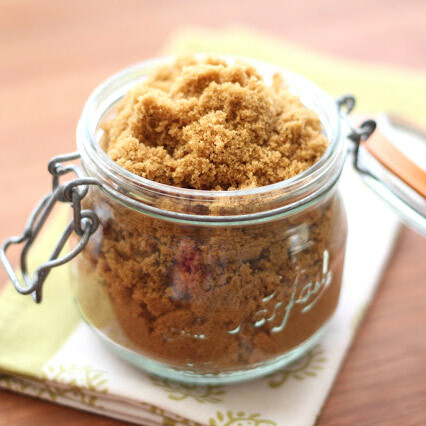 Brown sugar is a sucrose sugar product with a distinctive brown color due to the presence of molasses. It is either an unrefined or partially refined soft sugar consisting of sugar crystals with some residual molasses content, or it is produced by the addition of molasses to refined white sugar. The molasses gives it a rich flavor with caramel overtones and a distinct aroma. In the late 1800s, the newly consolidated refined white sugar industry, which did not have full control over brown sugar production, mounted a smear campaign against brown sugar, reproducing microscopic photographs of harmless but repulsive-looking microbes living in brown sugar. The effort was so successful that by 1900, a best-selling cookbook warned that brown sugar was of inferior quality and was susceptible to infestation by "a minute insect."